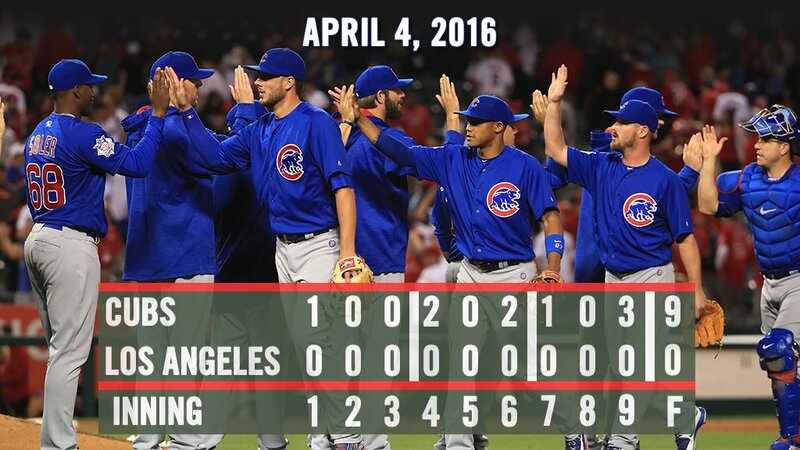 Cubs win! 2015 NL Cy Young Award winner Jake Arrieta held the Angels to two hits over seven scoreless innings and the first place Chicago Cubs beat the Los Angeles Angels of Anaheim 9-0 on Opening Night. The Cubs' first-ever interleague Opening Day game featured plenty of offense, despite Schwarbryzzo going a combined 1-for-11. Miguel Montero homered and Matt Szczur added 3 RBI on a pinch-hit, bases-clearing double. Travis Wood picked up where he left off last September, pitching a 1-2-3 ninth inning to finish off the Halos. Dexter Fowler had a helluva night in the leadoff spot, reaching base four times in five plate appearances and scoring three runs. 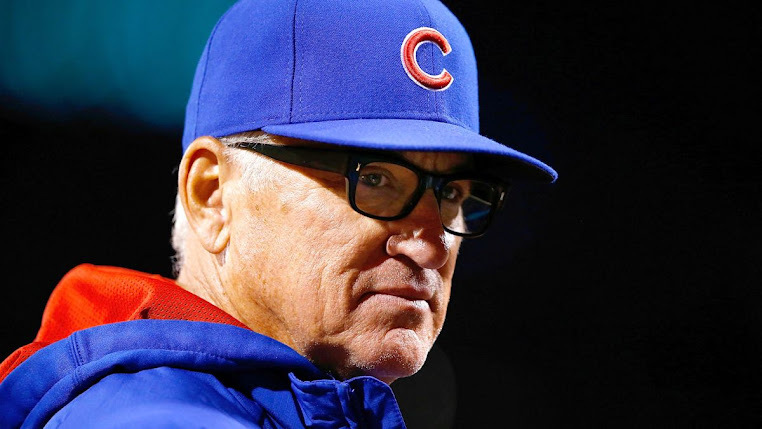 As Joe Maddon says to Dexter before every at bat: "you go, we go!" The Cubs wrap up the two-game series in Anaheim Tuesday night.